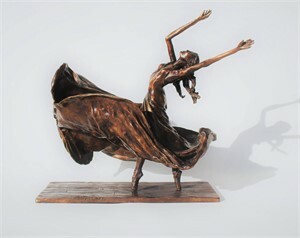 Laura produces bronze figurative sculpture and impresionist oil paintings. 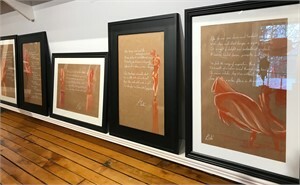 Her sculptures recognize the athlete in the female form. 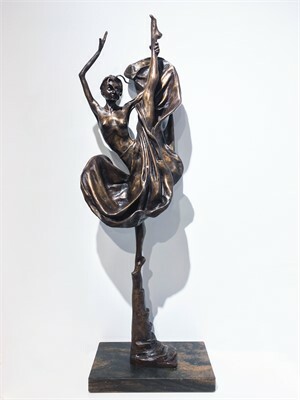 Recent figures embody the strength and beauty of dancers inspired by Richard McDonald. 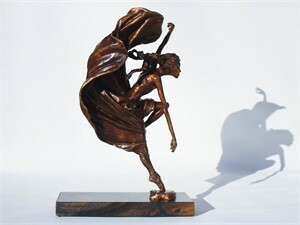 I offer agile figurative bronzes to be the siren call, the crescendo cymbol crash, or the quiet concluding couplet. I am immersed in the beauty of the female form. The flow of muscle, bone, and material is a confluence of elegance and power. As a former collegiate athlete, I appreciate the attention, rigor, and control required of dancers and athletes. The meaning of art is a a subject to be explored between the viewers and the artworks. Laura assigns her own narrative to each sculpture through the form of an accompanying poem. 1. Clay - create clay model with strong internal armature. 2. Mold - section the clay, create a silicon mold for each, the original clay is destroyed in the process. 3. Wax - melt wax and pour in the mold, remove, reassemble to make a wax model. 4. Mold 2 - section the wax , add leads, create a mold by dippinng in sand slurry over a ten day period. 6. Hammer &b Weld - remove sand mold with a hammer, weld bronze pieces back together. 7. Patina - Using heat, brush on ingredients for the patina. In the end the artist is left with a beautiful bronze and a silicone mold. Each bronze is unique. 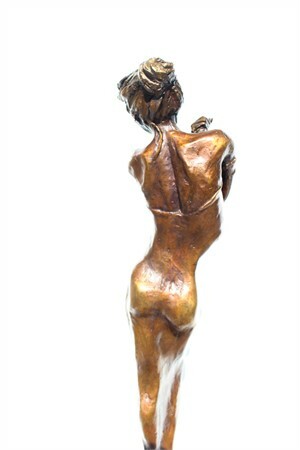 Laura produces bronze figurative sculpture and impresionist oil paintings. 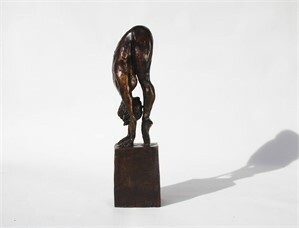 Her sculptures recognize the athlete in the female form. Recent figures embody the strength and beauty of dancers inspired by Richard McDonald. 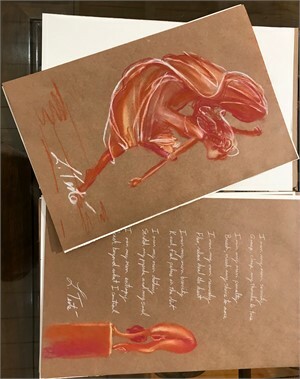 Artist Statement: I offer agile figurative bronzes to be the siren call, the crescendo cymbol crash, or the quiet concluding couplet. I am immersed in the beauty of the female form. The flow of muscle, bone, and material is a confluence of elegance and power. As a former collegiate athlete, I appreciate the attention, rigor, and control required of dancers and athletes. Exprasis = Art Poetry The meaning of art is a a subject to be explored between the viewers and the artworks. Laura assigns her own narrative to each sculpture through the form of an accompanying poem. Education: Universtiy of Michigan MBA - 2000 Standford University - BS Product Design - 1991 Fine Art Sculpture Centre, MI - 2016 Chautauqua Institution, NY - 2004 Cranbrook Art Institute, MI - 1999 Process: The 3-6 month process of lost bronze casting is legthy complres and ridiculously laborious 1. Clay - create clay model with strong internal armature. 2. Mold - section the clay, create a silicon mold for each, the original clay is destroyed in the process. 3. Wax - melt wax and pour in the mold, remove, reassemble to make a wax model. 4. Mold 2 - section the wax , add leads, create a mold by dippinng in sand slurry over a ten day period. 5. Bronze - Burn out the wax, pour bronze in sand molds 6. Hammer &b Weld - remove sand mold with a hammer, weld bronze pieces back together. 7. Patina - Using heat, brush on ingredients for the patina. In the end the artist is left with a beautiful bronze and a silicone mold. Each bronze is unique.